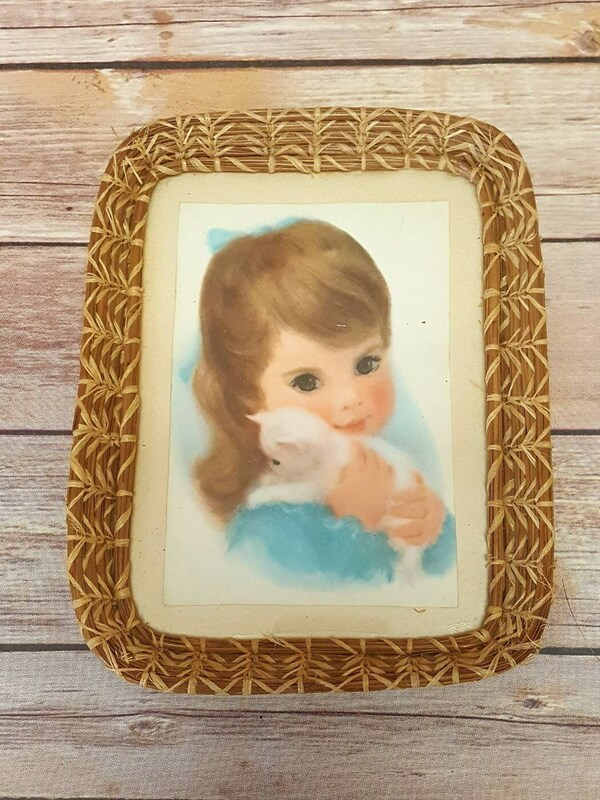 Lovely framed Northern Tissue advertisement featuring a girl in a blue dress, holding a kitten. This print was illustrated by Frances Cook and is part of a series. The print is permanently set in a woven straw and wicker frame. The glass is in good condition, although there is some debris behind it. The frame shows a bit of wear. Hanging hardware is not included. Frame measures 8.5 inches tall and 6 3/4 inches wide.